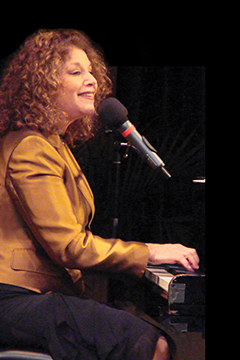 Daryl Sherman, a jazz singer based in NY, performs every Monday to Saturday, until 28 May at Tableaux Lounge. Her voice, which is soulful, sweet and rich, will offer you warm and special time.You wouldn’t be able to have the chance to enjoy jazz vocalist at her level in Tokyo.Please come to Tableaux Lounge and enjoy his wonderful performance! !